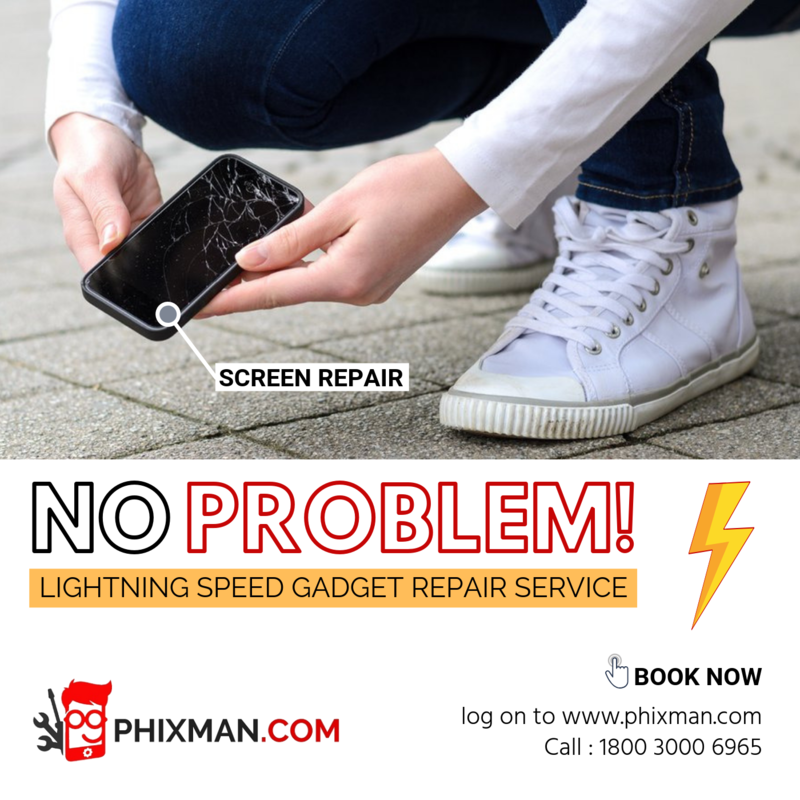 Phixman - The affordable solution to all your smartphone issues! What is the first thing you look up to when you wake up? Well, we can’t really doubt on this one, for 90% of us it’s cell phone. From that morning story to the last activity we’ve all got the hang of social media channels and along with it comes the scary cell phone issues and crashes which almost end up giving us a massive heart attack and then make us juggle on thousands of questions (where do i take my phone? What if it took too much of time? What about my data? My personal information and blah blah) well, not to worry anymore because now you have got India’s largest gadget repair chain to the rescue! We at phixman work towards fixing all your smartphone issues under one roof with the help of our certified professionals that too within a single day! Yes you read that right, all you got to do is book your repair online and wait for the pick up direct from your place. * From Samsung to Apple we’ve got a fix for everything you bring. * You don’t have to rush anywhere to get your beloved (smartphone) fixed. * You don’t have to miss it for weeks and months just book - wait for a day - get it back with a brand new feeling. * Zero percent chances of being catfished because we make sure your smartphone gets the best quality parts along with 3 months warranty. * You don’t need to worry about getting your privacy invaded because your data is absolutely safe and untouched with us. Got an issue with your smartphone? Just visit www.phixman.com and book your fix now!